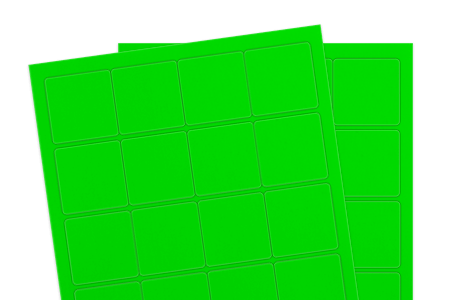 Fuorescent green labels, laser & inkjet printable. Perfect for labeling graphs, medical charts, warehouse shelving units or even lockers or toy baskets - the fluorescent green label stock gets the job done! Browse various sizes and see why this label stands out among the rest.